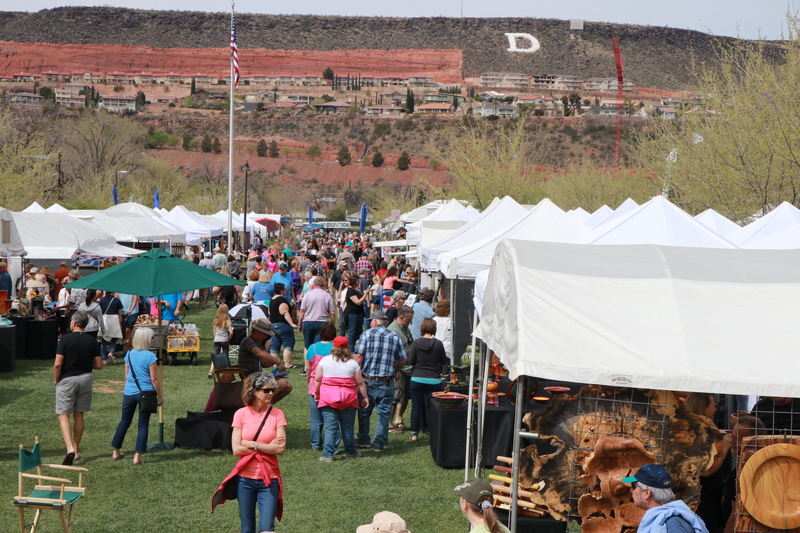 ST. GEORGE — For decades when people talk about spending Easter weekend in St. George, they always consider a walk through the explosion of creativity at the St. George Art Festival to be held this year April 19-20 at the beautiful Town Square Park. 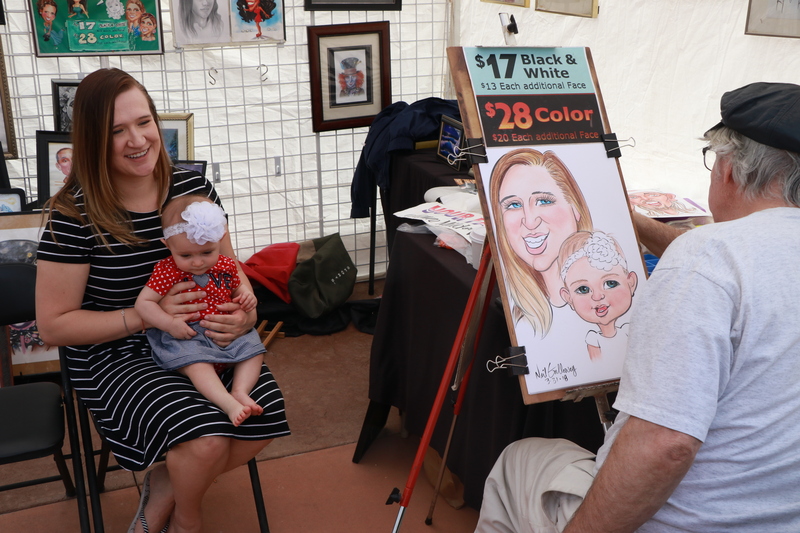 “The St. George Art Festival is celebrating 40 years of incredible, art, music, dance, food and fun,” said Shane McAffee, city of St. George Leisure Services director. What began as way to showcase the talent of local artisans has grown immensely over the years, becoming a “truly great tradition” and now displays thousands of works of art and exhibits. Over 110 nationally known painters, potters, jewelers, photographers and sculptors in glass, bronze, steel and fabric with be featured at this year’s event. Known for consistently outstanding artwork, the festival highlights many mediums of art including watercolor, oils, pottery, sculpture, photography and woodwork and gives cash awards for Best of Show, Best 2D and 3D art and ribbons for all categories. The 2019 featured artist, nature enthusiast Paul Twitchell, will receive a complimentary entry to the show. As they stroll through row after row of beautiful artwork in display booths designed individually by each artist, festival goers will be treated to the aroma and distinctive flavors of Native American, Mexican, Greek, Italian, Polynesian, American, BBQ and many other foods that can be found at locations all over the park. The festival continues to be a champion of the performing arts with continuous entertainment performing on three separate stages and in addition, a children’s activity area will provide hands-on creative opportunities for budding artists to explore their creative talents. A wide variety of craft projects, homemade musical instruments, games, puppetry, wild hair creations, face painting and tons of interactive entertainment to keep the younger ones smiling. With a spectacular old-fashioned carousel, lazy river to cool off their feet and a never ending supply of waterfalls to chase at the splash pad fountain nearby, everyone is sure to find something they will love to do. Artists and visitors are encouraged to make reservations well in advance as accommodations throughout county can fill up quickly. The St. George Chamber of Commerce has provided a useful motel hotline number, (800) 757-7710, that can assist visitors with locating rooms. “(The festival) is recognized as one of the finest festivals in the west,” McAffee said. For more information, contact the city of St. George Leisure Services Department at 435-627-4500 or email leisure@sgcity.org. For detailed information, maps and the entire 2019 artist lineup, go to the St. George Art Festival website. What: 40th Annual St. George Art Festival. When: Friday-Saturday, April 19-20, 10 a.m. to 6 p.m.
Where: St. George Town Square, 50 S. Main St., St. George. More information: St. George Art Festival website, call 435-627-4500 or email Shane McAffee at leisure@sgcity.org.